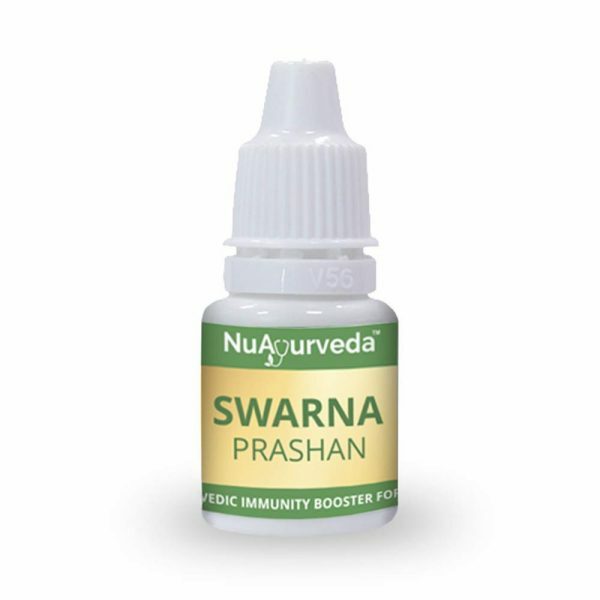 Suvarna Prashan is made using Swarna Bhasma (gold ash) mixed with honey and cow ghee containing herbal extracts like Vacha, Brahmi, Shankupushpi, all of which show strong immune boosting properties. It is recommended for anyone aged 0 to 16 years and can be taken daily or can be taken specifically on the Pushya Nakshatra. Good Product for Immunity Boost.